Guys, I am a tad creeped out at Pokemon Tower in Lavender Town. Once again, I try to hunt for the Thick Club for Cubone and instead get a Shiny Gastly. 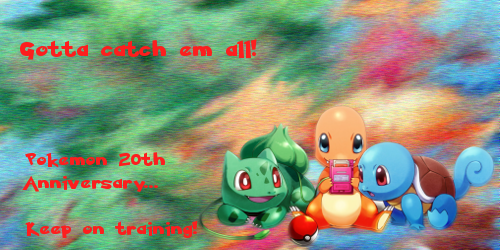 This time, it's on my Fire Red instead of Leaf Green. Edit: It's Bashful with a stat spread of (approx.) 6/22/1/24/27/16. It's not terrible. Team Volt Grunt, ArcanineRaichu77 and WishIhadaManafi5 like this. Congrats! It's really nice to see 1/8192 shinies still here I'm hunting Bulbasaur on the LG I got from my cousin for Christmas. Just past a month's hunting it and I'm on 15140 srs atm. It'll be my first 2019 shiny, my 80th shiny and is the last one I need for my shiny Kanto starter trio Charmander shone at 15763 srs back in 2013 so looks like Bulba will pass that haha. Shiny stakataka #1 after 2,771 SRs! Golden bricks get! It appeared as I was driving back from the hospital with dad (he's apparently allergic to driving himself to his own appointments, so he drags me along and makes me sit in a random lot somewhere with the car waiting for him to call me for pickup so he won't have to walk a few extra feet or pay to get out of the parking lots), and holy heck is it tanky. False Swipe was barely making a dent so I had to stack three Roto Boosts and use Air Slash to whittle it down so I could catch it. It kept using Iron Head on my smeargle, but thankfully the stacked boosts reduced the damage it did. And it would not stay asleep. But I did get it in the first beast ball I threw. I was syncing for lonely, but sync failed and it turned out serious. I think I can work with that, since it doesn't lower anything. It's mischievous, with Beast Boost. I've already been into the wormholes; I found both pheromosa and celesteela and fainted them so I wouldn't have to deal with the cutscenes once I actually start hunting them. 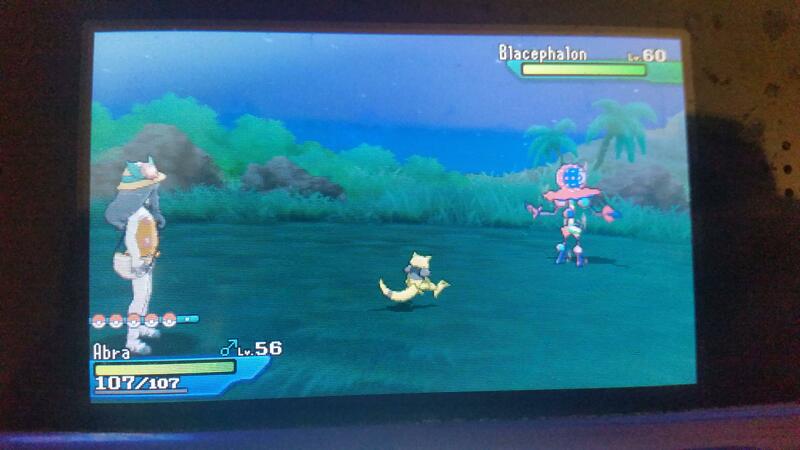 I may go for pheromosa first, then come back for the second stakataka. I just hatched egg #1530 for Dratini with Masuda Method and Shiny Charm and still no shiny in sight yet. Beginning to lose hope lol. I’m new to shiny hunting through breeding, this being only my third one. Previous egg shinies were a Deino at 34 eggs, a Hoothoot at 413 eggs, and then one time I got a shiny Dunsparce from an egg I wasn’t even wanting to be shiny lol. Just got a shiny Gastly in Pokemon Let's Go. My first chained shiny in Let's Go. So happy! 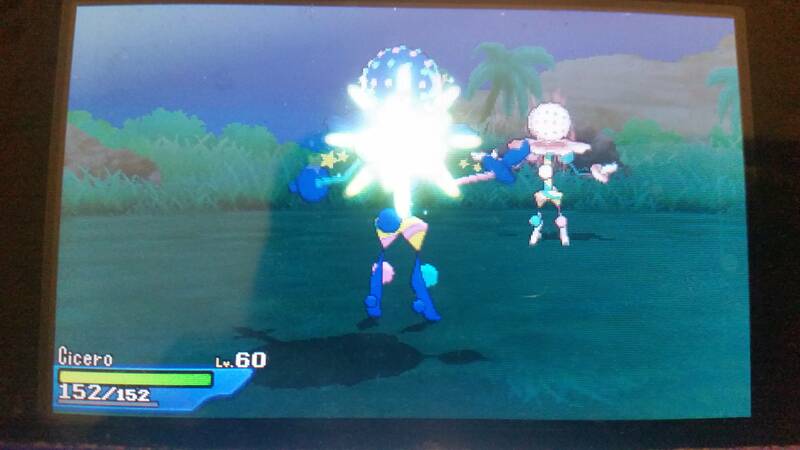 It took 141 encounters. Just got a shiny Gastly in Pokemon Let's Go. My first chained shiny Let's Go. So happy! It took 141 encounters. Congrats mate . Gastly is going to Be my next hunt on let’s go . Porygon instead of running away and also braking my chain after updating my switch today 2 shiny Growlithe spawned one after another . This is the second time I’ve encountered a second shiny just after the first has spawned on let’s go . I started back in Gen 1 . My first starter Pokémon ;001; . Thanks! Hope you find one soon. Nice! Glad that your Growlithe hunt worked out. I must be crazy because soft-resetting is so tedious to me. I can't believe I'm actually doing a badge quest. 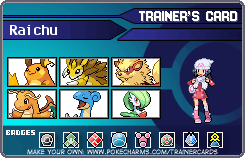 Some story to this is that I wanted a shiny starter so I'd figure I'd play through OR since I still haven't finished that game (AS was my main game). Saw about 9 resets (27 seen) and then a shiny mudkip appears. What the actual hell. Since I'd figure I could get the hardest part of the shiny quest out of the way I figure let's try the badge quest. First I wanted a shiny ralts so I decided that the best way to go about it was by the Dex nav. Simple enough until you realize that a level 13 ralts has teleport. I knew this but went for it anyways. Prayed I wouldn't get a level 13 ralts but sure enough I did at a search level of 133. The game trolls me by having the ball shake three time and then it using telelport. My very first official fail. Out of spite I decided to reclaim the shiny later. After a short 10 ENCOUNTERS I caught a level 3 female shiny ralts. I'm still seething at the game trolling me like that. I'm currently looking for Shroomish, but it has yet to shine. 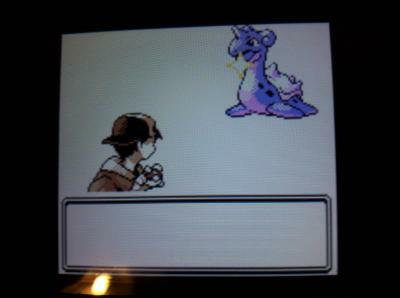 So I FINALLY got my Lapras after a LONG 21,107 SRs! The catch was trickier than planned, with it eating all 14 of my Heavy Balls, but fortunately the second Ultra Ball caught it! Shiny pheromosa after 6,183 SRs! Bit of a haul there. I was syncing for naive, but pheromosa turned out Lax. Not having much luck with the natures so far. It likes to thrash about and has the standard Beast Boost. Been watching some of my favorite Youtubers playing Pixelmon (yes, it's still alive) and it's made me really, really want to hunt yveltal. But first I have to breed out a sync with the right nature. Thankfully I have dittos so that shouldn't be the biggest problem. Finding the yveltal will be the hard part. Edit: Shiny medicham on the second run into the wormhole. Female, quiet nature, mischievous, with Pure Power. Edit #3: Pulled a shiny barbaracle out of the wormholes yesterday. Mild nature again, mischievous, with Tough Claws. Yveltal is being elusive. I ran the wormholes for hours, found quite a few legendary red holes and random legendaries in regular red holes. I found the bird trio so many times I'm considering catching them just to make them stop appearing; it's gotten to the point where if the cry as the legendary flies overhead is "GYAOOOOO!" I just leave because that's one of those three stupid birds. I've also found "LUAAAAAAAAN!" (cresselia) and "WHHHWHHHWHHHWHHH!" (thundurus). Still looking for yveltal. Edit #4: Shiny heliolisk. Again, mild (leading with a mild sync for yveltal), alert to sounds, with Sand Veil. I have one in US from running wormholes over there, so this one will probably get traded off eventually. 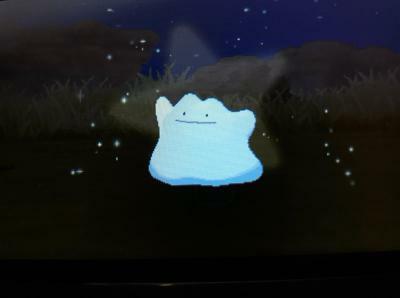 Shiny Ditto after 232 calls Ended up being Gentle, not really the best nature but then again most of Ditto's stats are irrelevant when it Transforms. Unfortunately not Imposter and got the normal Limber. This beautiful dark beast has the Mild nature I wanted and is capable of taking hits, with Dark Aura. I won't know his IVs till I get him back to Ultra Sun since I haven't unlocked the IV judge feature in UM yet. I had to Spore him twice, then it took three hits with False Swipe to whittle him down. I wanted to get him in a premiere ball or a timer ball (because red and white or red-black-white), but I realized too late that I don't have any of either, so I said "eff it" and chucked a fast ball at him. One shake... two shakes... three shakes... Ding! Captured. 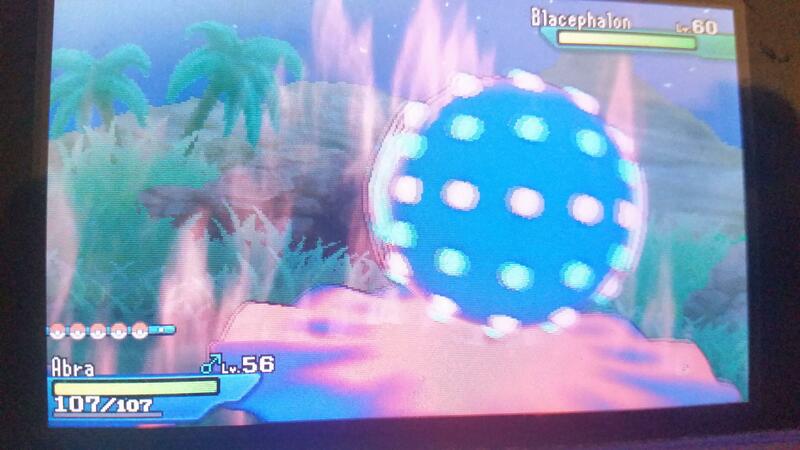 Going after the second stakataka now, after which I will be running the wormholes again after kyogre. 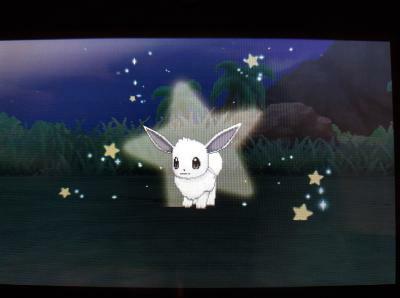 That's the first Eevee of 4 for the Kanto Eevee family after a fairly long 636 SOS calls! Ended up Careful with Adaptability. 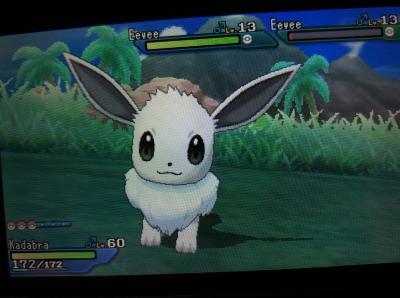 This one will remain an Eevee. EDIT: Second Eevee after 151 calls! Bold sync worked here, and caught it in a Heal Ball. 4IV missing both attacking stats, which is perfect for a bulky Vaporeon! 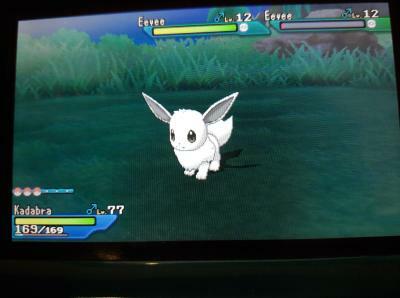 EDIT2: Third Eevee after 584 calls! This one successfully synced Timid so will be a Jolteon! Unfortunately Synchronise failed and it ended up with a Quiet nature and IVs of 31/31/14/8/31/28-30. Now I'm searching Ultra Space for Xerneas and I will work on Stakataka in Ultra Moon. Good luck everyone! Sync worked this time; it's sassy nature and somewhat vain, with Beast Boost. 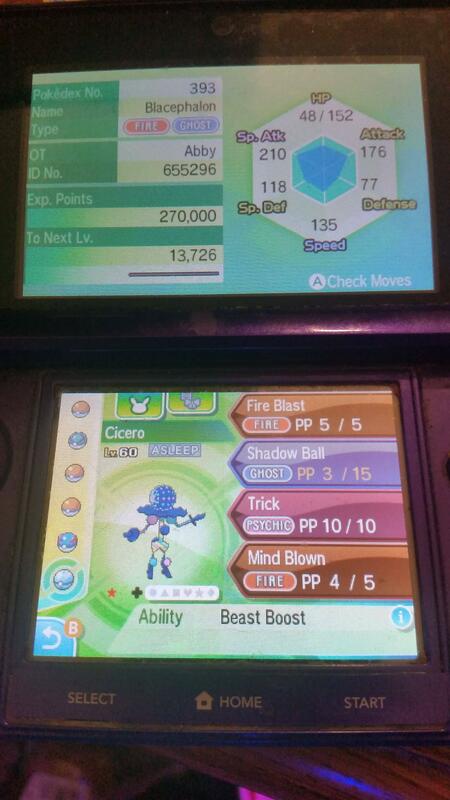 Again, it took four stacked Roto Boosts to amp up False Swipe and Air Slash enough to whittle it down enough to catch, and then I got it in the first beast ball. Edit #2: Shiny sigilyph. First one of those I've caught in Gen 7. Calm, alert to sounds, with Magic Guard. Team Volt Grunt likes this. I moved to a fighting safari in Y; I need a machoke form my US dex. And already I've caught the other two shinies available in the safari. Shiny sawk; brave nature, somewhat vain, with Inner Focus. Shiny riolu; gentle nature, somewhat vain, with Steadfast. Still looking for that machoke. Celesteela is at 800 SRs (I knew I'd find it before kyogre). Manged to get this guy as a psyduck early on!